Some of you may know that my daughter’s softball team this year is named “Troll-rific”. Since I was in charge of the team snack on our very last softball game coming up, I thought I’d make it extra special for the girls. 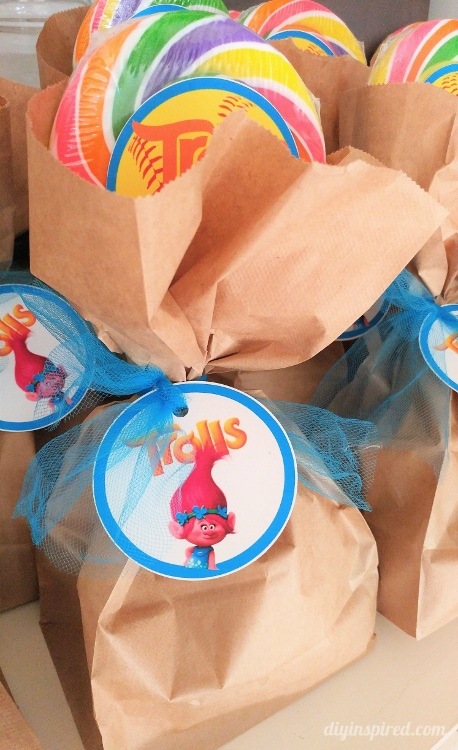 I wanted to share it because it would also be a cute Trolls party favor idea as well. As a special treat, I found these rainbow lollipops at Michael’s. FYI, they didn’t have them at Party City or Walmart. 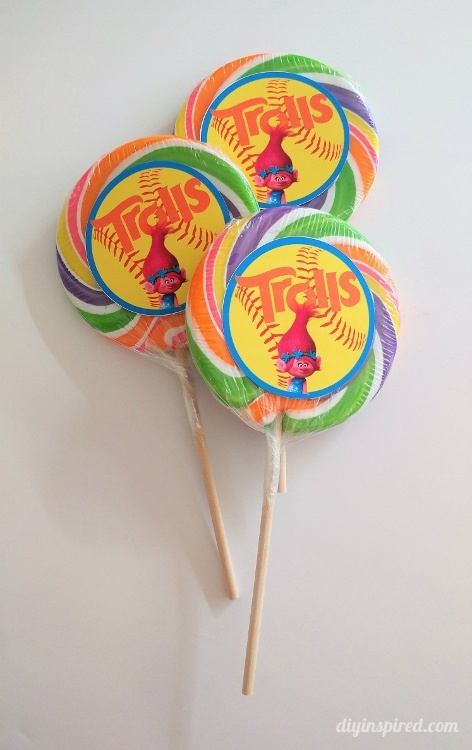 I designed my own label for the lollipop that looked like a softball and made little gift tags as well. OK, ok, I have to admit… the “gift tag” was actually my first draft of the lollipop label, but after I printed them I decided I didn’t like them because they were too plain and I needed to make them look like they were for softball instead. I used regular brown lunch bags to put in all their goodies (veggie sticks, fruit snacks, and a granola bar), and then tied tulle around it. By the way, the tulle was left over from the Troll Headbands I made for their opening day parade. I had my daughter sign the back of each tag as well. Lastly, we stuck the lollipop with the label I made inside. I thought they turned out cute for their last game. 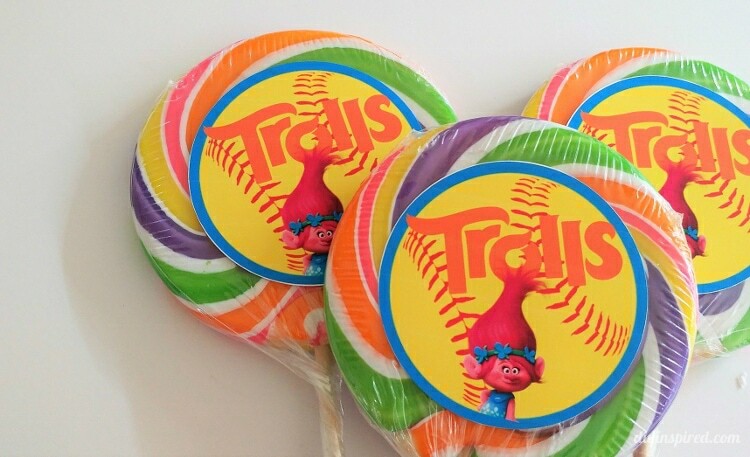 I thought they’d be great for a Troll themed birthday party as well. The girls are going to love them! Greathe idea!! I hope so! Thanks, Jen!